The maximum strength and thickness of core and cone board is due to the multi-ply boards that sticked together well and tight. With efficient glue absorption, these boards are regarded as the main material for the production of industrial cores and cones such as tissue paper core, yarn cone, film core, can pad and paper core. Made of brown kraft paper, this coreboard is regarded as a popular material for standard cones and cores. This brown coreboard is widely used for the production of high quality cores. With the high internal bond strength values at over 350 joules per square meter, it works efficiently with machines operating at a high speed for film core, tissue paper core, and textile industries. This brown board is generally used for the production of high quality cores. 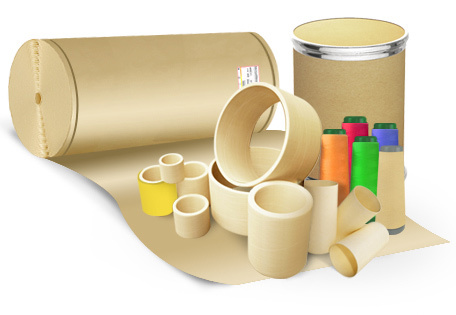 With the alternative of basis weight from 185 to 450 grams per square meter, it is ideally suited for textile, can pad, partition sheet, and tissue paper core industries.